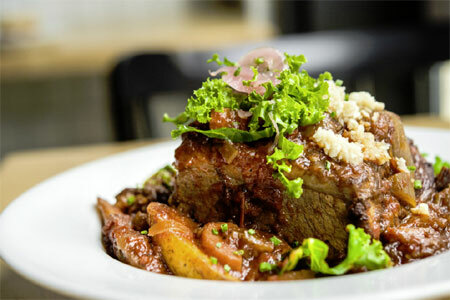 West Village restaurant from German-born chef Günter Seeger. Open Mon.-Thurs. 5:30 p.m.-9:30 p.m., Fri.-Sat. 5:30 p.m.-10 p.m.
: German-born chef Günter Seeger is known for his (now-shuttered) Atlanta restaurant. 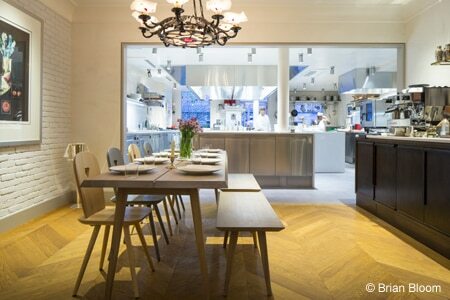 His homey, eponymous West Village spot features an intimate dining room with 11 tables, as well as a chef’s table. In the dining room, weekday guests have a choice between a four-course prix-fixe menu or 10-course tasting menu. The latter menu is the sole option on Friday and Saturday evenings. Expect American fare with global nods, as in dishes like hibachi grilled scallop with miso glaze and avocado purée; Happy Valley beef entrecôte with dehydrated black trumpet mushroom and peppercorn sauce; and matcha choux with Sambirano single origin chocolate sorbet.